You are at:Home»Lifestyle»8 Bizarre Rituals Followed in India That Will Give You Chills! 8 Bizarre Rituals Followed in India That Will Give You Chills! India is a country tangled by mythological strings of tribes and Hindu God’s, when you start to dig deeper you realise that Diwali, Holi are not the only festivals celebrated in India. 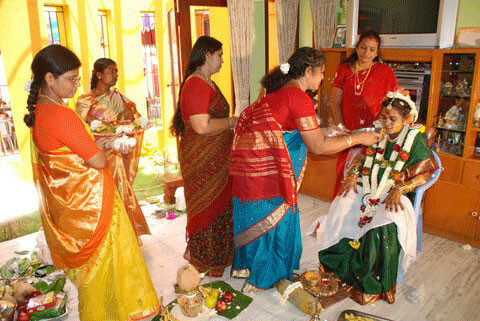 There are many unusual rituals and ceremonies being followed in many parts of India that attract even tourist. Coming back to another most unusual festival in India… the Bani festival is something beyond any customary observance or practice. During the Dusshera festival, lathi-wielding devotees from Karnataka and Andhra Pradesh gather at the Devaragattu Temple in Kurnool to hit each other on the heads to commemorate the killing of a demon by Mala-Malleshwara (Shiva). This event continues till the crack of dawn. I don’t know whether it is going to be an attraction for any traveler to stand and watch the whole ceremony… but once in your lifetime, you must check it out. 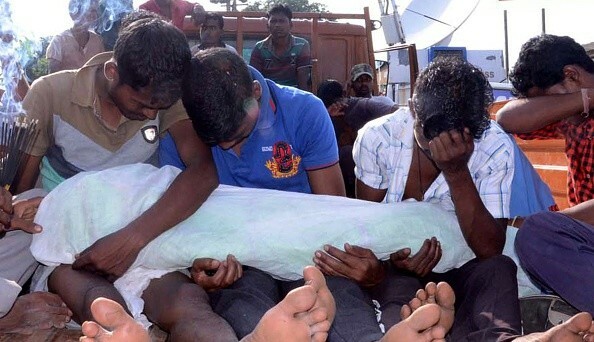 Human sacrifices occur in remote villages in India, where belief in the occult is widespread. A few days prior to Kharia’s death, the decapitated body of Sanatan Bag, 5, was found in an apparent child sacrifice at a temple in Rangapara village, in the state of Assam. It is believed that the boy was killed by a suspected occultist who was then lynched by angry villagers. In 2013, toddler Akash Singh was brutally killed by a group of people who believed the sacrifice of the child could give them a better life. This one is markedly different from any other festivals in India that are held before the Holi festival. The Bhagoriya festival, organized in the district of West Nimar(Khargon) and Jhabua, is all about a particular form of tribal marriage where young boys and girls are allowed to elope after choosing their partners. During this festival of Bhil and Bhilala tribes, the boy puts red powder on the face of the girl whom he wants to marry and if the girl is willing to marry that boy she puts the same red powder on the boy’s face… in case the girl refuses, the boy is given another chance to persuade her and win her heart. Just after you are done with your meal… imagine if someone rolls over it as a part of the ritual. This practice of rolling over leftover food is witnessed at the Kukke Subramania Temple, which is known as Made Made Snana. This practice is observed by the lower castes people on the food leftovers of Brahmins on banana leaves and is blindly believed that such an act helps the lower castes to get rid of various ailments. This event has been linked with several controversies since 2010. One of the most vibrant religious festivals of North-East India, Ambuabachi Mela indicates the celebration of the fertility of Mother Nature. Nilachal Mountain, close to the river Brahmaputra, is the seat of Goddess Kamakhya, the presiding deity of Assam where the goddess menstruates for a period of 3 days. People from all across the country assemble here to take part in this grand festival where they meet hundreds of Sadhus practicing Tantrik Rites in the temple premise. The fragrance of Indian Marijuana, camphor, incense sticks create a mystic environment in this holy mountain of Assam. Periods of a woman is a penance for Brahma Hathi. WE should not go near them during those three days. While We are eating We should not hear their voice. We should not use water and food after they have used it. On the fourth day after bath, if she cooks by going near the fire, she would get sick, The one who eats the food she prepares would get tainted. She would get pure only on the fifth day.